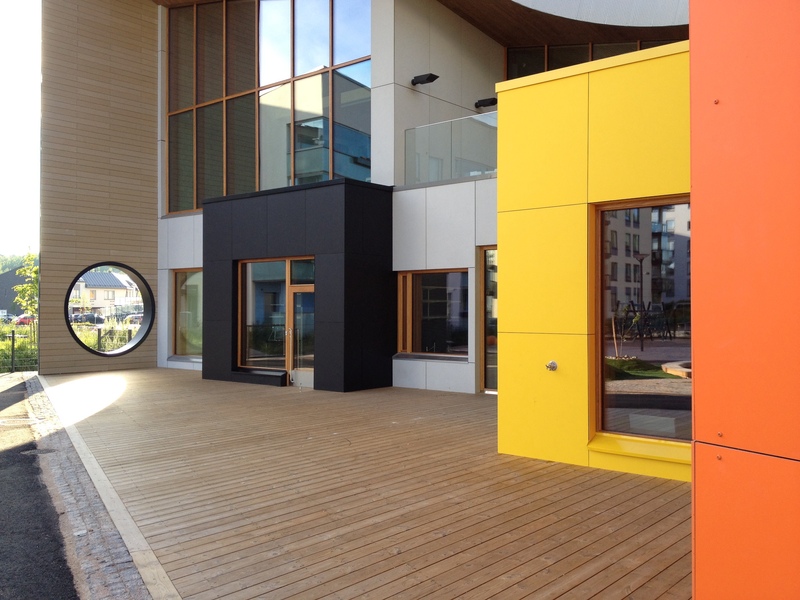 Here are my mobile phone snapshots of a new daycare center in Suurpelto, Espoo, Finland. It will be opened in August 2014. The design that follows the principles of sustainable construction is by Auer & Sandås Architects.